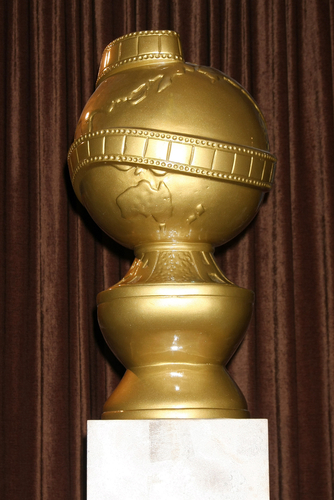 Go 2015 Golden Globe Awards! The show gave us the comedy magic of Tina Fey and Amy Poehler. But more importantly, it was a night of big WINs for characters and stories that personify the power of standing out exactly as who you are. The journey for women’s independence got a moment in the sun when Amy Adams won best actress in a motion picture – comedy or musical for her role in Big Eyes. It is the story of Margaret Keane, whose husband fraudulently claimed her paintings as his work, and her journey to stand up and claim her own work. But the night’s biggest wins were LGBT stories. Matt Bomer was honored as supporting actor in a TV miniseries or movie for the The Normal Heart – set during the early HIV/AIDS crisis in the 1980s. In his acceptance speech, Bomer gave homage to victims of AIDS. And a big winner was Amazon’s Transparent – the series about a father of three who identifies as a woman, and comes out to his family as a transgender woman. The landmark series won winning best TV comedy series and its lead Jeffrey Tambor was voted best actor in a TV comedy series. Tambor used the opportunity to dedicate his performance and the award to the transgender community. Sadly, Asians remain the one major group not represented with an awards win. In fact, the Asian presence at the Golden Globes was limited to Margaret Cho, in funny bits about North Korea. I love Margaret Cho and was glad to see her – but I’m still hoping for the day when Hollywood produces more prominent – and award-worthy – roles for performers and artists of Asian descent. Meanwhile, I was still thrilled to works honored that portray a diversity of life stories. In doing so, I hope this year’s Golden Globes provided inspiration for everyone to believe that – no matter who you are – you too can WIN in life.